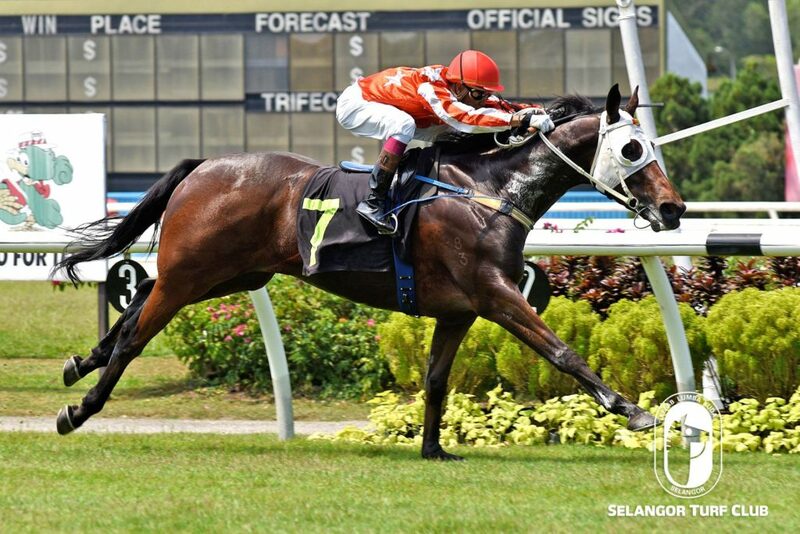 Trainer Charles Leck’s Star Invincible is still in winning condition judging from the workout at Selangor Turf Club today (Thursday). Taken out by Jockey S Ruzaini, the five-year-old by I Am Invincible, cantered a lap on the sand track and is still maintaining form. Last start winner, Star Invincible, took the lead at the final 300m from home and drew away to an easy victory beating Miezu in a Class 4 (B) event over 1400m this month. Jockey S Ruzaini has been elected to ride Star Invincible and the pair should give another bold showing in a Class 4 (A) over 1400m in Race 5 on Sunday. RACE 3: Barker Road Kid trotted a lap and then cantered strongly. RACE 4: Last start winner Drought (J Mallyon) was given a trot on the first lap and was restrained to do pace work on a tight hold. RACE 7: Listen (Apprentice AM Aizat) trotted 2 rounds and then took it easy with a pace work. RACE 8: Black Thorn trotted and then did an easy pace work. D Great Vulture did two rounds canter.